My friend Yasiin Kawuma’s life was brutally ended last night in the same way that many innocent Ugandan lives have been ended by your bloodthirsty master, Yoweri Museveni, and I realize that I could have very easily been the one sitting at the steering wheel of that vehicle for reasons I’ll give in subsequent paragraphs of this crier de Coeur to you. Whenever I have the time, I regularly offer to drive my friends who are political leaders during campaigns, processions and/or long trips to and from the countryside for a number of reasons—some tactical, others strategic. At times, a candidate or leader needs to concentrate fully on planning for the day’s activities, sometimes their official drivers need to rest and on other occasions, it is a good gesture to make oneself available to assist a colleague by chauffeuring them about while they make speeches, meet their voters and chat with their campaign managers and so on. In my modest experience volunteering for election processes so far, I can state, without any fear of contradiction, that the armed personnel that your masters deploy in elections are responsible for the shootings and injuries meted out against unarmed civilians. This has for long been a common feature of elections. When I volunteered for Brenda Nabukenya’s re-election in Luwero, the amount of gun violence that was wrought by Kayihura’s Police created a situation akin to civil war. Were the voters of Luwero pelting the president’s motorcade with stones? 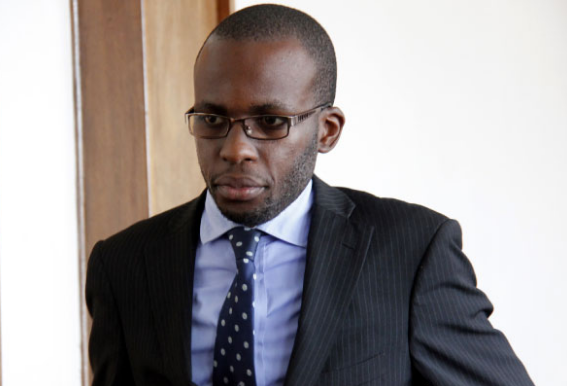 During the Campaign for Free and Fair Elections in 2015, Mathias Mpuuga narrowly survived a bullet to the shoulder thanks to the quick reflexes of a young man who shoved him away into a nearby building whose wall exploded as the killer round shattered the brick and mortar. Was Mpuuga throwing stones at your master Museveni? Without provocation, Mwijukye Francis, Kalema Shaban Senior, Nyanjura Doreen Nyanjura Doreen Amooti, Bobi Kyagulanyi were (and still are) routinely beaten and the former was once shot in the femur—were they ever found throwing stones at your president? How about the two-year-old baby Javiirah Nalwanga who was shot dead in Masaka by a “stray” bullet?! In 2016 while a rampant Andrew Felix Kaweesi was all over Kampala arresting political party agents and grabbing declaration forms, three of his guards aimed their automatic weapons at myself and two journalists. None of us had thrown, much less picked up a stone…we were simply taking photos. In the same year during the election for Ntungamo Municipality Member of Parliament, operators from the Special Forces were deployed and I remember seeing one soldier bludgeoning the motionless body of an old woman who was fleeing the violence—I have never been able to find out whether she survived the savage beating. Tell me Don, was this old woman also hurling stones at your president? During the recent by-election in Jinja East where I volunteered for Mwiru Paul’s campaign, I was tasked by Gerald K Karuhanga to follow a vehicle that was transporting ballot boxes to the tally centre and ensure that the results aren’t tampered with along the way. A soldier pointed his gun at me in an effort to get me to stop trailing them. I got worried but continued following the car up to the tally centre. This was particularly risky because I was by myself and was driving in a secluded area of the township—had I been shot, they’d have accused me of having confronted them (like they have done with Yasiin) yet all I was doing was vote protection which is a legitimate part of electoral processes more so when rigging is the order of the day. Barely two months ago, Asuman Basalirwa’s aide was, without provocation, shot dead in the course of a campaign rally. Did he also stone a presidential car? The incidents are so many but with those few examples, it should be evident that the sole cause of election violence is the bloodlust and insatiable appetite for power that the regime you have sold your soul to possesses and will blindly pursue at any cost, including human life! Your attempt at spinning the story by parading a damaged rear window of what you purport to be one of the cars on the presidential convoy is not only nauseating; it is manifestly lame and lacking. While you go about your daily job of defending the indefensible, please rest assured that empires far greater than Museveni’s Junta have collapsed and are now in the dung heap of history, enveloped by infamy and disgrace. Don’t follow this corpse to the grave, my brother.